What is up, everybody? Fred Lam here and welcome to our daily huddle episode number 57. I just came back right from dinner for my Chinese New Year Eve with my family. I actually rushed back to the office so I can host my daily huddle with you guys to answer five burning questions that you may have about your business or maybe something that you’re stuck on or you might have an idea that you want to get my advice on for your business. With that being said, again today it’s going to be a little bit shorter section. It is obviously pretty late at night right now and I’m not sure if I have anyone from the East Coast which by right now it is actually midnight. Like I said, I’m going to do everything that I can to be here live with every single one of you to answer your questions and to share with you the knowledge that I have. With that being said, again today it’s Thursday and as you guys all know on Thursdays, I am on live pretty late only because I have a members-only webinar that I host only for my Zero Up members and I basically bring in a lot of value in there and I have a time slot dedicated for them every single week. So on Thursdays, please expect me to actually be here live pretty late at night but at the same time it may be great on having people in UK or Australia or New Zealand to actually join us because the time zone is actually much better at this time for us. Let me dive right in into our 5 questions for today now one of the questions that I want featured is collecting email addresses for eCommerce and I have a person that I actually brought up this question to me and I want to address it and share with you what my take is or what my strategies are and again there’s so many other strategies out there, it’s really depending on what is working for you and again what’s working for me, it’s been working for a lot of my students at the same time and I just want to share that with you guys but again like I said when it comes to building a business, running ads there are other strategies out there at the same time. [0:3:44] Question 1: I don't want to mix these pixels up to confuse Facebook algorithm. I want to create a custom audience created from the visitors to specific pages of my women's website, but when I tried to add a custom audience I'm only given the option to use men's account or pixel, not the one I wanted to use. Do you know how to set a pixel to add visitors to a Custom Audience? I have the Facebook business account with two separate accounts. Great structure! I use one account for a men’s website and the other Facebook account for a women’s niche brand. Smart! Obviously, you want to have the right one pixel, one website and you have a men’s website, a women’s website. That’s a great setup. Obviously, I don’t want to mix these pixels up to confuse Facebook algorithm. I want to create a custom audience created from the visitors to specific pages of my women’s website, but when I tried to add a custom audience I’m only given the option to use men’s account or pixel, not the one I wanted to use. Do you know how to set a pixel to add visitors to a Custom Audience? Great question and I think this is a very simple question and simple answer for you. So, when you actually login into your business manager account, before you head over to the custom conversion tab on the top left menu of your browser, you want to actually select your Facebook ad account first. So, when you actually go to www.business.facebook.com, and you logged in you’ll be asked to actually see which ad account do you want to go into and you select your women’s ad account first. When you select your women’s d account, you’ll be brought to the ads manager within your business manager. So you basically see your campaigns overview, yada yada. Now, from there, you then want to click on the top left hand menu and go over to custom conversions and at that point you are actually creating a custom conversion based on the women’s pixel or the women’s website pixel. So, what’s really happening I think that it is just a that you just click on the wrong things and when you’re going to the custom conversions and it’s just routing you back to the men’s website other than the women. So the [by assets 0:05:50] simply go to business manager account, select your ad account which is the women then go to the custom conversion and you should be able to actually create your custom audience from there. Pretty simple stuff, I hope that really helps you out now. [0:06:06] Question 2: I'm interested in Zero Up but I cannot find any testimonial from current users. All I found were those affiliate reviews. I want to know what are the challenges that faced by them and see if I can cope with it before I join. For example, after I set up the Shopify store how much advertising dollar I need to allocate to promote my store? I’m interested in Zero Up but I cannot find any testimonial from current users. All I found were those affiliate reviews. I want to know what are the challenges that faced by them and see if I can cope with it before I join. For example, after I set up the Shopify store how much advertising dollar I need to allocate to promote my store? Thanks! So here’s the deal, you got to join my Starting from Zero community and that’s where people sometimes actually post the results in there. Ryan just post one of his results with one of the strategy that I actually shared through my members only using Google and he invests $75 and made almost $900 back. Now, a lot of testimonials actually living inside are Zero Up community. In our Zero Up community, it’s only approved for people that is a member of Zero Up because we share a wealth of knowledge right inside. Again, I’ve actually shared a lot of testimonials with you guys. People making $4,000 a month, $4,000 a day, people make it $100,000 a month. There’s a lot of testimonials that I featured in my webinar. Again, it’s up to you if you decide that you want to actually really build your eCommerce business. I built a platform and a program that works and we have a lot of people with amazing success with our program. Again, I’m not selling you I’m only answering your question right now. When it comes to how much advertising dollar I need to allocate to promote my store? This is a very vague question that is being asked. I cannot basically say well you only need $500 in to advertising and you will guarantee XYZ back. That is not the deal and as you know, I never hyped things up in my webinar. You have to understand that you are (a) investing in your business and I share a $5 a day advertising strategy that you can start out with. Now, when it comes to budget, it’s really depending on how much you wanted to invest and there’s actually two factors involved : (1) how much are you willing to invest in your ads. Again, I’m not treating advertising as an expense, it’s because you are investing towards the data of your products and your store and your brand and (2) you’re also investing in your own knowledge at the same time because when you actually start running ads, you will actually see and learn a lot of things from it and the more knowledge you gain, the easier your next step is going to be when you are actually building multiple eCommerce stores or scaling up your current one right now. So, anyway so with that being said again, it’s really up to you can start with let’s say a $100 into ads and you basically say well I can only allocate $100 advertising a month then go to $100; however, at the same time, if you are so great and you know your niche so well and you found your golden product maybe in just a couple days, listen at that point you don’t even have to worry about how much you have to invest into advertising because you’re basically able to scale with that product that’s converting for you and let the cash cycle work for you, so you’re not really investing your money anymore. You’re basically collecting your customer’s money investing into ads and you paying for the products and then you pay for the ads. You’re basically having the customer pay for everything especially when it comes to inventory arbitrage. Again, it’s up to you if you want to decide if you want to join Zero Up. We have a lot of tremendous success in there and ever since the incision of Zero Up, I’ve been having weekly webinars updating everyone, sharing different strategies in there. Again, you write in together for long term it’s not just basically just here’s a course there’s a software bye-bye, that’s not what it’s all about for me. I care about everyone’s success. I am active and every single week, I have webinars that I actually share the latest strategies that I’ve been using. Again, just sharing what you are asking me, not selling anything obviously I would love for you guys to actually join Zero Up, but if you guys are still deciding, it’s really up to you. 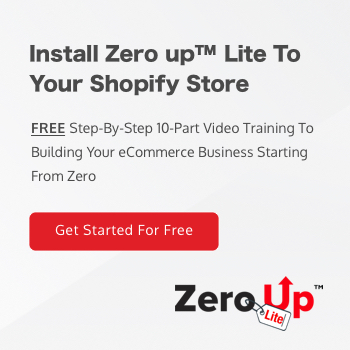 I still have a lot of people with success just with my Zero Up Lite which is my 10-part video training series that is absolutely free. You can actually get it on my website or simply get it in my Starting from Zero group. [0:10:22] Question 3: Isn't it better to try and capture their email address and create a long sales letter to sell them first instead of something like “50% off this weekend only click here.” I see some other big marketers mentioning that you need to collect email address first so you can retarget them since the majority of the people don't purchase the first time they see a product. What are your thoughts? Also, what do you recommend for us to use to help identify products that may sell well since everyone uses the “sort by order amount” option? Hello Fred! From your teachings, you recommend sending people from the FB ad straight to the sales page and not an email opt-in or a long sales letter leading to the sales page. Isn’t it better to try and capture their email address and create a long sales letter to sell them first instead of something like “50% off this weekend only click here.” I see some other big marketers mentioning that you need to collect email address first so you can retarget them since the majority of the people don’t purchase the first time they see a product. What are your thoughts? Also, what do you recommend for us to use to help identify products that may sell well since everyone uses the “sort by order amount” option? Thanks! 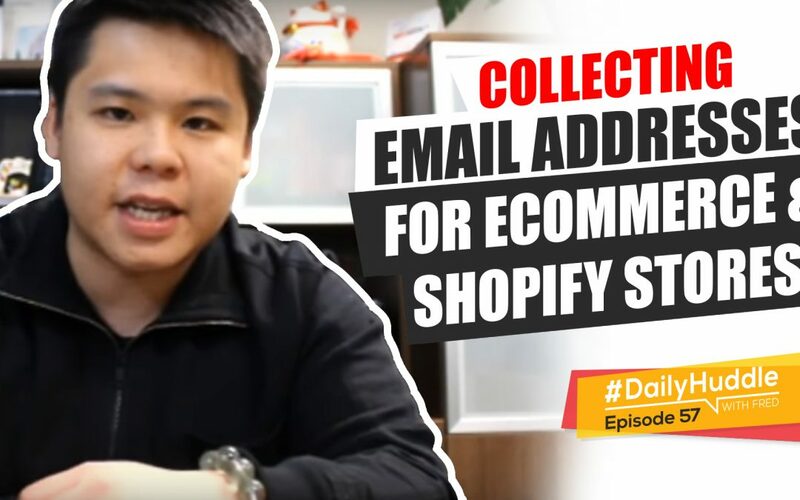 Great question that you actually brought up and I actually want to feature it today which is about collecting email addresses for eCommerce. Again, when you’re talking about long-form sales letter, you’re now going towards selling a product that may be needing a lot of copy. What I mean by that is maybe health supplements is something that you need very long copy. If you’re selling a product that maybe costs around $60-$70 all the way to $100, we’ll also need a long sales copy. So for me, what I’ve been teaching all the time and it really depends again on what you actually sell, if you’re saying that you’re trying to actually just sell a product through Ali Express and through dropshipping, I would actually suggest you to drive it to the sales page or a product page and actually ask for the sale right away, you don’t necessarily need to have an email address because if you create an opt-in before you actually send them to the product page, where they simply just buy the product, you’re creating an additional step in your sales funnel. 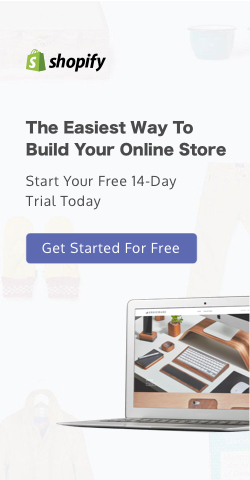 Instead of basically going from an ad to a sales page or an ad to the landing page of the product, you’re going from ad to an opt-in page and then to the actual sales page or the product page by adding that one page in between, it will actually affect your conversion because there’s going to be X amount of people that’s going to basically drop off right from the opt-in page. So, if you’re actually selling an arbitraging inventory, you’re selling lower-end product like around $20 or less, I would just go straight to the product page or build a landing page just to actually sell that product. Now, where the email address actually comes in are going to be in 3 different forms and this is very important. (1) You absolutely want to use the app called Willio. When a person actually goes to your product page, when they see the ad they actually are wanting to know more about your product. They’re not looking for an opt-in, they’re looking for a product. So, when the person click on the ad, go to the landing page see the product and from there they can decide they’re going to buy or not. Now, if they decide not to buy and they want to leave, that’s when Willio pops up and ask for their email address so you can actually offer them a coupon code and in exchange, get their email address. So that’s option number one to collect the email address. 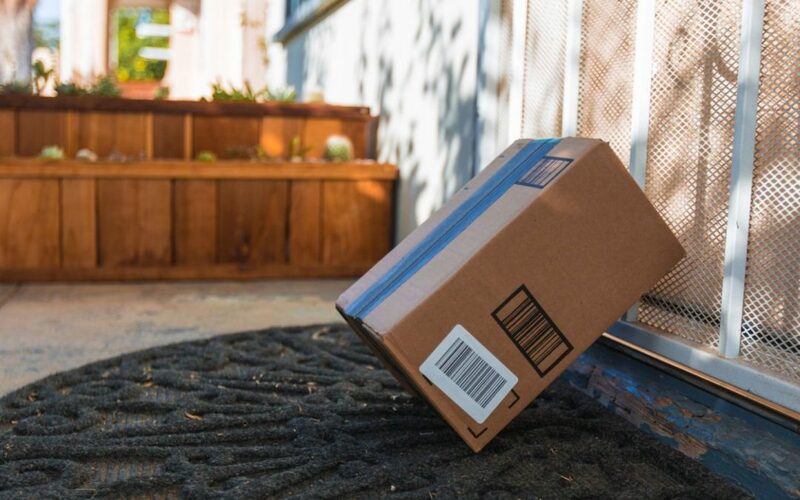 Now option 2 is that when the person actually click on Add to Cart and go initiate checkouts, and if they did not give you their credit card information, you are going to able to capture their email address through the abandoned carts. Now, that’s avenue number two for you to get an email address. Obviously, number 3 is to simply get the sale and when you get the customer to actually buy, that’s an email address as well. 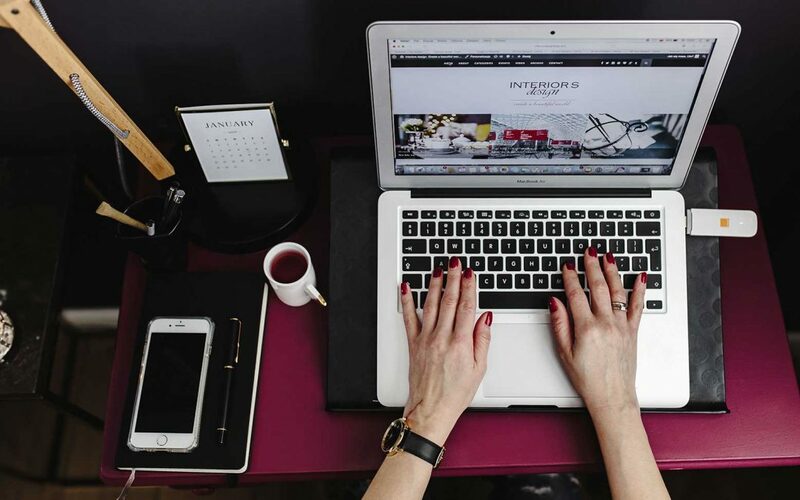 When it comes to eCommerce there’s already 3 avenues depending on where the customer is in your journey or in the experience to collect email address. What’s the point of actually collecting their email address right away? For product, you want to have them buy the product so it pays off for your ads. Now, let’s say that if you’re selling health supplement or you’re selling a product that is going to be like some crazy invention or something that will require you to actually do more selling then now that is completely a different story, especially in the health space what they do is they simply bridge it or they arbitrage it. They actually go into the mass market, they create a free eBook or basically a cookbook or whatever and attract that person to collect their email address and then sell them with emails and selling over long-form sales copy. Again, like I said it really depends on what niche you’re in and what products you’re selling and how you’re presenting the product and how much you’re selling the product will really determine if you need an opt-in page or not. Now again, if you’re selling like a $20 product or $30 dollar product or less you don’t necessarily need to have an opt-in page because it doesn’t make sense what are you going to do from the ad, are you going to say get 50% on this product enter your email address rather and then they have to go to an opt-in page give you their email address and be sent to the sales page or do you want to basically say get this part of your 50% off here’s the link go here and buy, right? When you do that, obviously you’re going to ask for the sale right away and that sale can potentially pay off for all your ads. That’s my take, now obviously with the sales page and with the product page you still have 3 opportunities to collect that email address anyway. So again, that’s my take, that’s what’s been working really well for me but again if you’re selling something like a high ticket or something it’s going to be like something revolutionary then yes, making an opt-in page is fine, but getting an opt-in to ask for them to opt-in to get a 50% discount, it’s not really necessarily it’s actually going to affect a conversion at the same time. Your last question is also what do you recommend us to use to help identify products that may sell well since everyone used to sort by order amount option? Here’s the deal, I said this multiple times, even if you actually find a product that is actually selling well, it doesn’t mean that you are going to sell well because there’s so many factors involved, the ad itself, the targeting itself and also most importantly the conversion of your website. So what you want to do and I keep telling every single person about this – you got to be in your market, because when you’re in market, you will know what you would want to buy and when you want to buy and you are an advocate of your niche, the other person on the other side of the screen that expressed the same interest as you will most likely buy at the same time. That’s very important because when you’re writing your ad copy and when you’re writing the product page text, it really makes a big difference in terms of conversion rate. So, that’s something that you really want to look into and again there are obviously some things that I shared inside my community on one of the things that you can do to find products that may actually have a higher potential but again at the end of the day you got to be in your niche to really identify that because every single niche is so far different, like going up to the grandma niche, there’s going to be other products that just sells or maybe the unicorn niche. Unicorn sells but are you able to sell unicorn to the people that love unicorn? So, that’s very important. [0:17:39] Question 4: These days, I am searching on Ali for products to my store. My question is this, I look for products, all the vendors offer about the same price and same product as I think they are the same “eCommerce” vendor as we are but there is a chance or any secret how to find that the company or that vendor who really produce those products? Hello, Fred! I have just built my store almost ready to open and start the ads. These days, I am searching on Ali for products to my store. My question is this, I look for products, all the vendors offer about the same price and same product as I think they are the same “eCommerce” vendor as we are but there is a chance or any secret how to find that the company or that vendor who really produce those products? So we can buy from them much better money then we can offer a better price to our customers. Thanks for all your help. I keep watching our two videos and training they are very helpful and useful. Best regards, Agnes. Great question and here’s the deal, when you start to actually sell a product and if you don’t provide volume, I actually mentioned this in two episodes ago, you want to actually start producing volume in order for you to understand the background of what is happening. For example, if you were in their shoe, if you offset in reach out a stranger reaching out and say hey, “I know that use this store, you guys are selling the same thing at the same price tell me your source right now.” They’re not gone tell you only because they’re like who on earth are you? That’s a simple mentality that a businessmen will have; however, when you start to say, I see that all these vendors are selling the same product at the same price, I’m pretty sure there’s something behind the scenes. Now, in order for you to find out and to go figure out what is going on, you want to start producing volume first. Let’s say that when you start consistently producing 50 sales a day, what’s going to happen is that the vendor will actually go okay this guy is doing something. He’s giving us 50 orders every single day, obviously we want to see who he is. We want to check out. Now, when you reach out to them and say they look I’ve been advertising your product, it’s doing great on my store I’m actually selling 15 units a day, I could potentially sell more but I want to actually find out if there’s any wiggle room in your product line so that I can actually drive more traffic or spend more money in ads to drive more traffic and get more sales. At that point, you are going to get the attention of the vendor and then you can start building a relationship with them to really drill deep on the back end if they are the actual vendor or they’re just arbitraging from a manufacturer as well. But again, it’s all drilling down to numbers. People again there’s something called like there’s no free lunch, right? If you’re able to produce results and produce numbers, you’re going to be so far ahead in the negotiation skills and power and you can actually do a lot more which is you identifying who’s really at the back can you get more wiggle room and I can tell you for a fact that if you start to drive consistent volume, whatever price you’re getting on Ali Express, you can actually get it lower. It’s just a simple wholesale a wholesale to retail mentality and that applie, but again you got to show that you have the ability to do that and you got to show consistency that’s where you actually get the upper hand to have these conversations. [0:22:04] Question 5: I have 2 affiliate websites. One for young men's interests and one for mature women's interests. I have a Facebook business manager account with two separate account and pixel. How do I make sure that Facebook algorithm doesn't get confused? Dear, Fred. I have 2 affiliate websites. One for young men’s interests and one for mature women’s interests. I have a Facebook business manager account with two separate account and pixel. How do I make sure that Facebook algorithm doesn’t get confused? Thanks. P.S. I never miss a daily huddle but being in Europe, I’m always an hour late for a live session. You’re the best! Thank you. And he went P.PP.S. my wife says you’re cute. All right, I’ll take that as a compliment. Help me thank your wife for saying that I’m cute. That’s great obviously I’m getting old and now people said I’m cute. I feel so much younger. So, thank you for that. So, the answer to your question. Very simple, as long as you have 2 separate websites and each website has its own pixel, one which is let’s say the younger demographic or the young men interests website have the young men interest pixel and the older mature woman’s interest website have that pixel, it would never cross-over. As long as you separate it out, it would not confuse anything because what’s Facebook going to do is that they will only optimize based on the pixel of your store or your website of your man younger demographic and the more mature one on its own. That’s what you want to do and again that’s very important. So, your setup is right. I don’t think there is anything that you need to worry about. Other than that that really concludes our daily huddle for today. Now again, if you guys love my daily huddle make sure you actually put a like, share this, tell your friends take your friends that you think that will can actually benefit from this and at the same time, leave a comment right below even if you’re watching a replay and you’re not in my live session, leave a comment tell me what you guys think you like it, hate it, don’t like it just let me know. I’m open for discussion. I love to actually hear feedback and either something that you guys don’t like let me know. That’s really it for a daily huddle for today. For those of you that actually now is in the other side of the world and for those of you who are in East Coast and if there’s any Chinese or Asians around, I want to first say happy Chinese New Year. For me, it is official tomorrow, not today is still New Year’s Chinese New Year’s Eve but if you guys are in other side of the planet happy Chinese New Year. Make sure you actually get as much red pocket as possible. I hope you’re not the person that’s giving away red pocket, you should be the one that’s hunting for red pocket that’s what I’m going to do tomorrow, I’m going to score around and hunt down some red pocket and just for the fun of it. Other than that, that is really it for our daily huddle for today. I look forward on seeing you guys tomorrow and I hope to come on in a little bit earlier tomorrow for my daily huddle. That’s it for today again if there’s any questions that you want me to feature in our daily huddle, make sure you go to fredlam.com/ask. That’s it for today. See you. Bye now.